Bestlacewigs delivers by UPS, DHL, FedEx andEMS. Free Shipping for order over $99 worldwide. (Custom duties & remote-place service fee are excluded) It’s ok to ship to PO. Box or APO/FPO address. But it takes longer time, about 1-2 weeks. After payment received, bestlacewigs.com will offer order confirmation via email within 24hours. For omber hair, bigger density,thin skin or silk top, needs extra 10 days. When your wig is ready, a notification will be sent to the email address you provided. The tracking number will be attached in the email. 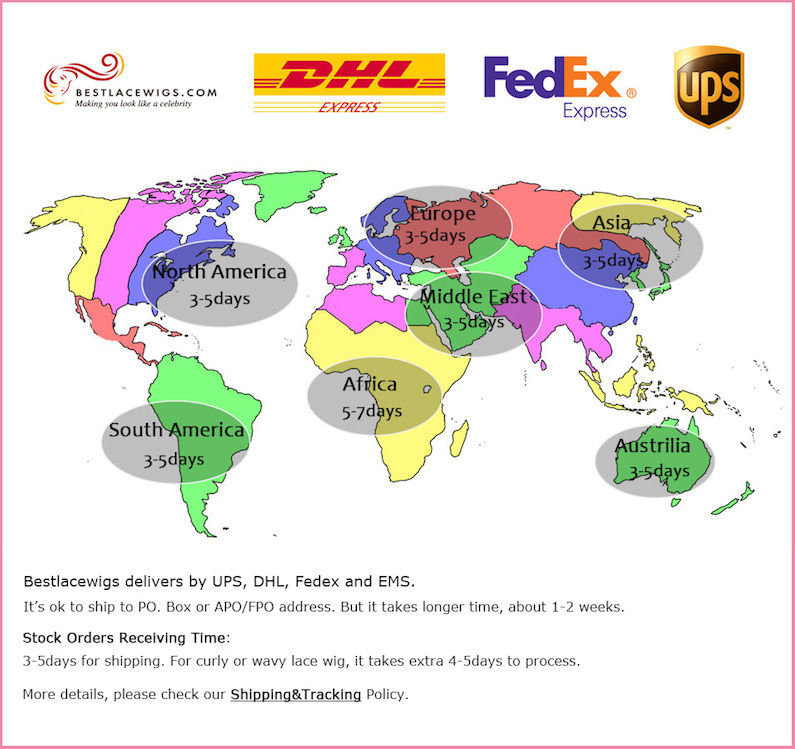 Once the order is shipped out, BESTLACEWIGS.com will offer you the tracking number via email.